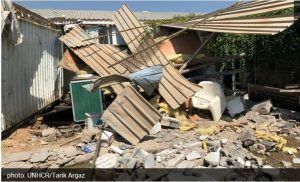 There has been international condemnation of the forced eviction of internally displaced Tawerghans from their Airport Road camp in Tripoli on Friday. The UN in its Friday statement said that ‘‘the UN in Libya strongly condemns the forced eviction of displaced Tawerghan families from Tariq al-Matar (Airport Road) Camp early this morning, leaving them homeless for a second time in seven years. “Entering an IDP camp while people are sleeping, demolishing homes and forcing people to flee, rendering them homeless, violates their dignity and their right to protection under International Human Rights and Humanitarian Laws,” said Special Representative to the UN Secretary-General to Libya, Ghassan Salame. The camp, which houses around 2,000 internally displaced persons (IDPs), has already been raided during the week by a Tripoli security apparatus, resulting in the detention of over 80 IDPs, including four minors, accused of criminal activities. Libya is obliged to prevent displacement, protect and assist the displaced and identify durable solutions. 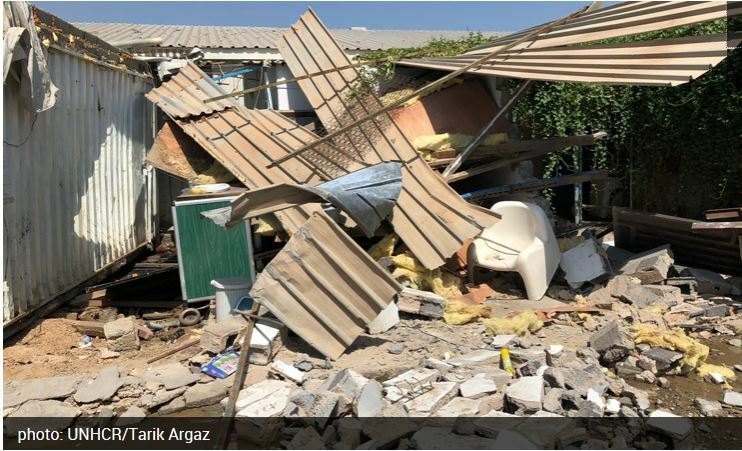 The UN calls on the authorities to provide shelter and protection to the evicted IDPs, release those arbitrarily detained, and bring those suspected of having committed crimes to justice without delay. The UN stands ready to provide humanitarian assistance to those affected, and to work with the authorities towards sustainable solutions for all displaced people in Libya. The U.S. embassy also condemned the action. In its short statement it said that the ‘‘U.S. Embassy Libya strongly condemns today’s forced eviction of #Tawerghan families from Tariq al-Matar Camp and calls on all parties to work together in fostering an inclusive, peaceful, secure and stable #Libya’’. It is not clear what the real motives of the Tawerghan eviction are. On the face of it, the pretext of criminality by some Tawerghan youth was used by the Central Force militia led by Abdul Ghani Al-Kikli (Gneiwa), nominally-aligned to the internationally recognized Presidency Council and Government of National Accord led by Faiez Serraj. Faiez Serraj and his Tripoli-based government have made no comments on the incident carried out be a militia his government recognizes. Another reason floated about was that the militia wanted the Tawerghans to return to their home town. However, their town is still lacking all the basic facilities needed for minimum standards of life – to the extent that those who did return left the town again.